New Delhi: The National Investigating Agency (NIA) on Friday arrested another accused in recently cracked Harkut-ul-Harb-e-Islam module. This module is said to be inspired by the proscribed terror outfit Islamic State of Iraq and Syria (ISIS). The arrested accused Muhammad Absar, a resident of Jasora of Meerut in Uttar Pradesh, teaches at Jamia Husania Abul Hassan at Piplera in Hapur.The central terror probe agency has carried out searches in Meerut and Hapur with the support of UP Police at three locations connected with Muhammad Absar on Saturday. 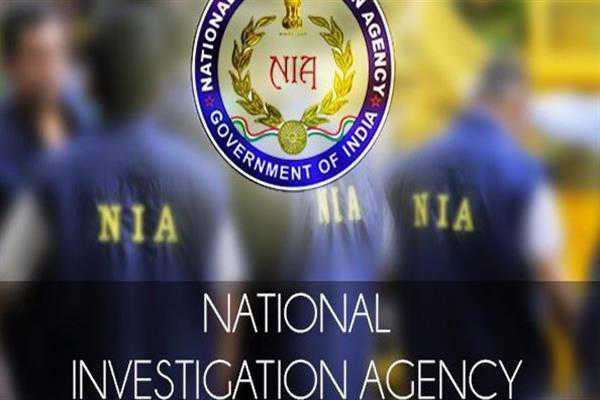 According to NIA, he had visited three places in Jammu and Kashmir in the months of May and August 2018 along with another accused Iftekhar Sakib in connection with the terror conspiracy. "He will be produced in the Delhi NIA Special Court for seeking his police custody on Saturday", the probe agency official said here. The NIA, in a major crackdown on December 26, busted an ISIS-inspired terror group planning suicide attacks and serial blasts targeting politicians and government installations in Delhi and parts of north India and arrested 10 suspects, including a 'mufti' from Uttar Pradesh.